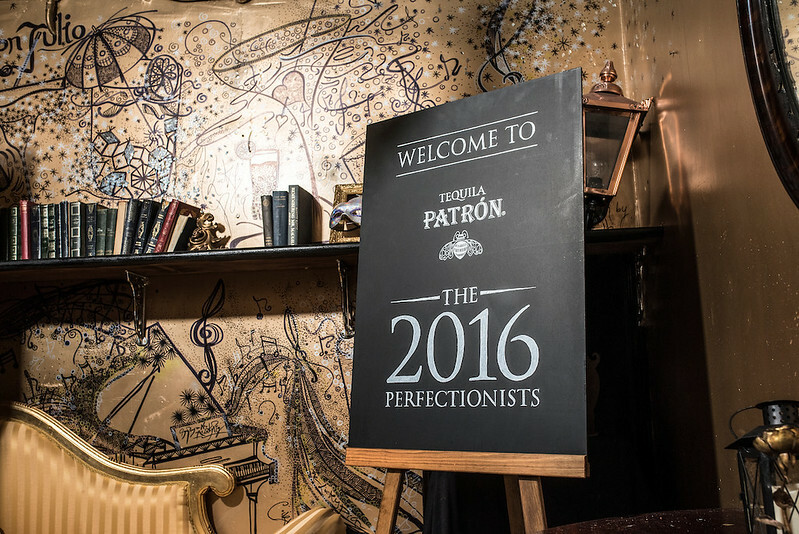 Question: What could be better than judging five awesome Patrón Perfectionists regional heats? Answer: Bringing the winners together and putting them through their paces again in the UK final that’s what. Er, hello! 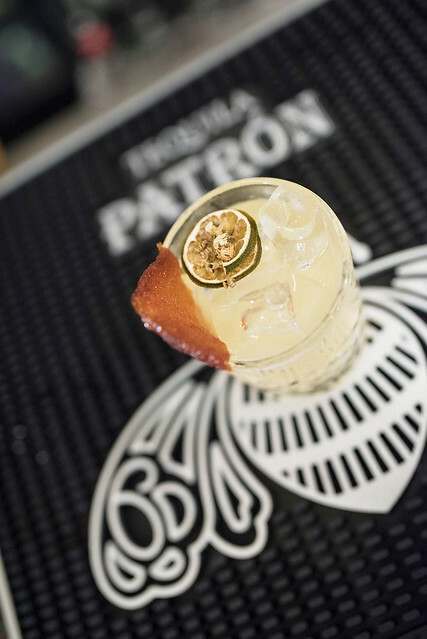 Why wouldn’t we want to rewind and relive the best bits from this year’s contest which saw some of the best bartenders in the country come together over their passion for Patrón tequila? Mind you, it was more than passion that saw Steven Young, Joe Wild, Mike McGinty, Matyas Busek and Raffaele Di Monaco beat off the competition in their particular heats. Creativity with and respect for their choice of the ultra-premium, hand-crafted Patrón Silver, Patrón Añejo and Patrón Reposado expressions came into it too. 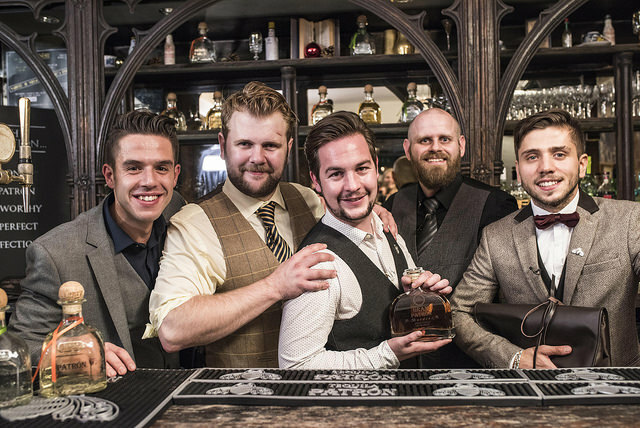 Put it this way, we already knew that their drinks were aces and all five could cut it on the brand knowledge and good bants front but how would they fare when they were pitted against each other for the top spot, a money can’t buy trip of a lifetime to the Hacienda Patrón in Mexico in the New Year? Would the nerves set in, would their stories still resonate, would the drinks stand up to a second round of scrutiny? We found out at the Lucky Pig in London last week. 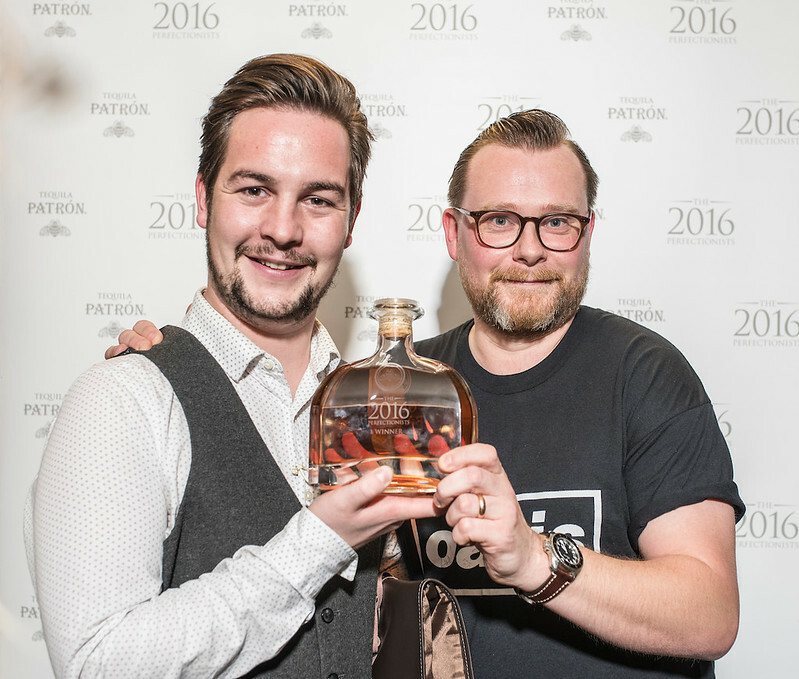 The scores were reset and a new set of big guns judges were called to the bar: applause please for Matt Sykes, Director, International Marketing Patrón Spirits and Rich Woods, Creative Director at Duck & Waffle. We wangled our way into sitting amongst them too. Well, we’d cast our votes in all five rounds and we’d be damned if we were going to miss out on this one, particularly as it meant we’d get to taste the specially created drinks one more time. Raffaele Di Monaco (above) from Park Chinois in London got the party started with his Sense of the Place cocktail. 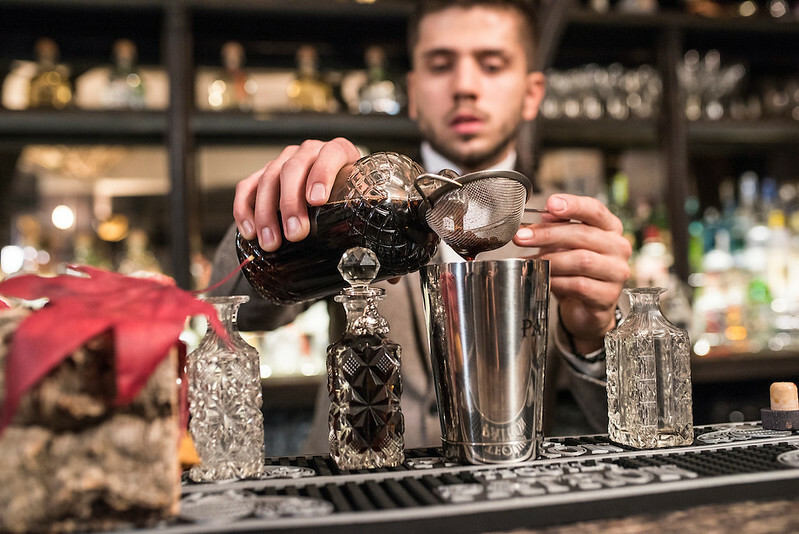 The crisp, clean drink was ‘thrown’ to create the lightness Raffaele wanted to take the drinker on a liquid “journey inspired by the terroir of Mexico”. Soft on the palate, slightly woody and spicy on the finish it took in Amontillado sherry, lime juice, mandarin juice, tarragon infused syrup and five drops of Naga Chilli bitters to complement the agave-tastic Patrón Silver. Next was Steven Young (above), from Pier64 in Penarth, winner from the very first heat in Reading. We defy anyone in any competition anywhere ever to pack in as much brand knowledge as he did in one presentation – surely Mastermind beckons…. Talk about being passionate about the brand, the man even has a Patrón logo tattooed on his neck for goodness sakes! It wasn’t all big-ups to the brand though, there was humour thrown in too, as well as nice little touches like involving his daughters Nancy and Bonnie in the making of his shrub and getting them to do a Blue Peter on empty Patrón bottles to house water for each of the judges. That was the padding; the structure holding all of these elements together was the drink, Damas de Embalaje, an homage to the packaging ladies at Patrón. 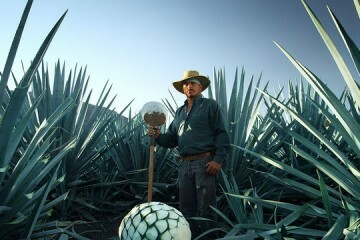 Every ingredient, from the roasted pineapple and cinnamon juice, to the raisin and banana shrub, was linked to one of the unique Patrón tequila processes. 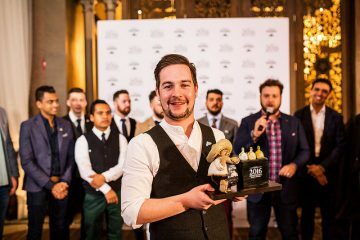 We won’t lie, we would have been a teensy bit intimidated following Steven in the line-up but if Mike McGinty (above) owner and founder of recently opened The Voyage of Buck in Edinburgh was, he didn’t let it show. 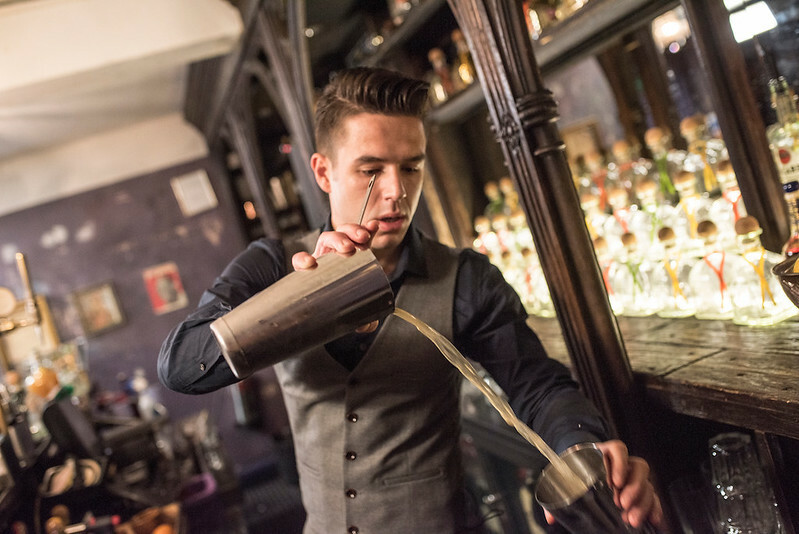 He gave good brand chat too – just enough to let everyone know that he knew his stuff while stopping short of making Karine Tillard, Patrón UK Brand Ambassador feel she was in danger of losing her job. His Bell of Jalisco was dedicated to the workers at the Hacienda. 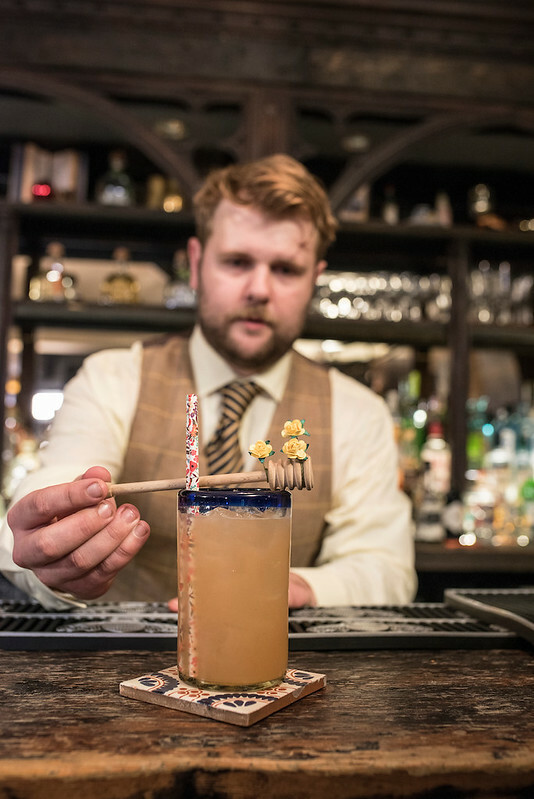 We’re betting the quenching blend of chamomile infused dry vermouth, grapefruit IPA and a yellow bell pepper shrub and Patrón Reposado would go down a treat. No lime juice for Mike, even though it’s usually the perfect partner for tequila, he found it too acidic for his drink. Instead he opted for freshly squeezed lemon which balanced everything just nicely. 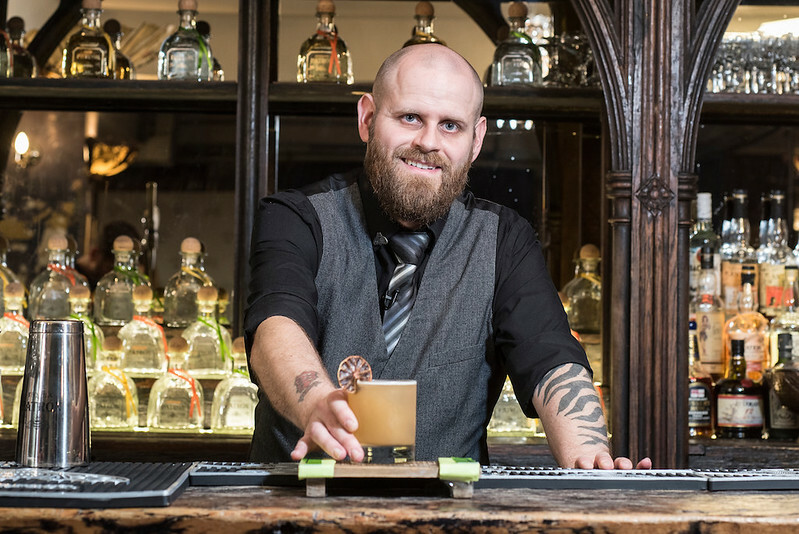 Joe Wild (above) from El Bandito in Liverpool took a different route and zoned in on sustainability, “the back story of Patrón but it’s not pushed to the front,” he said introducing his cocktail, aptly named Spirit of Sustainability. Addressing everything from the fact that Patrón were the first drinks company to use reverse osmosis in its production as well as championing how much waste is reused at the Hacienda, the mix of orange liqueur, lime juice, bee pollen infused agave, orange blossom water, grapefruit juice, rose soda and Patrón Silver was served in recycled Mexican glassware with wooden honey stirrers instead of straws. Last in the line up was Matyas Busek (above) from Fogg’s Residence in London who got everyone into the spirit of things by enlisting a Mariachi guitarist to nudge us all a little closer to Mexico. It worked like a charm. As did the cocktail, Sight of Baobab, inspired by the mighty baobab tree. His cocktail called on strawberry verbena oleo, rubarbaro and a spray of tonka, all deftly blended with Patrón Silver and served with orange strips and roasted ants (yes, we did taste them and for the record, they’re surprisingly lemony). 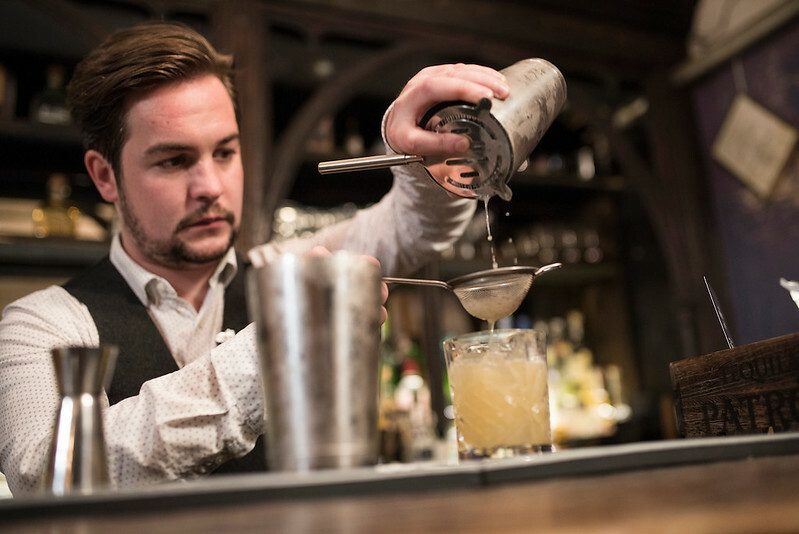 Mike’s winning cocktail will be on the menu at The Voyage of Buck from December.